Regardless of how things are unfolding around you… You always have the choice to return to center. To stay present, aware, and aligned with the highest levels of Divine Light and Love. It's always the perfect time to take a moment for yourself to rest, center in divine light and recharge. 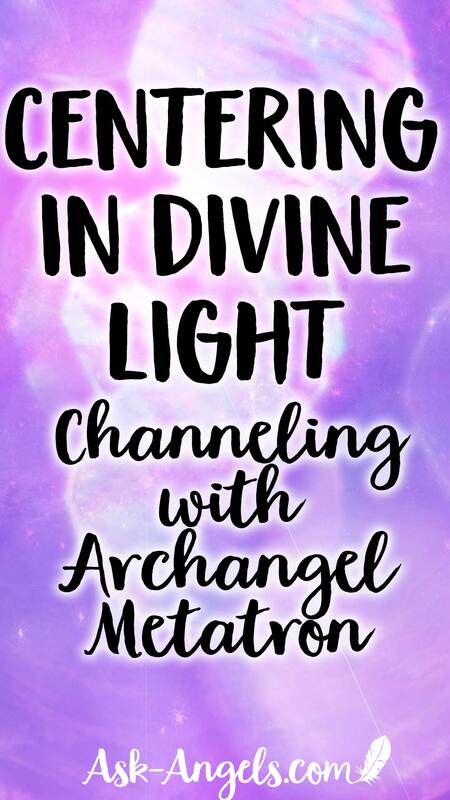 And I'm excited to share a channeling with Archangel Metatron to support you in doing just that! 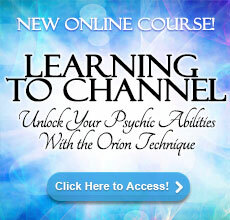 Listen to this channeling with Archangel Metatron here! Or keep reading, as this message has been transcribed for you below as well. Right click the following link to save to your computer. Ctrl click mac… Press and hold on Phone/ Tablet. Greetings from Archangel Metatron, indeed, present here with your team of guides and angels. And we, together – surround you with the energy of Divine Love, sparkling high vibrational light of the Divine which pours into your present point in time, and enters into this very moment to cleanse, heal and uplift. All you need to do is relax, to allow this healing light into your body, mind and spirit. And so, at this time, quiet your mind, relax your face, relax your shoulders and your arms. Relax your abdomen, your hips and legs. Relax your feet ankles and toes. Relax your hands. Relax your entire being. Breathe, relax and focus within as you now begin to tune in to the light that is all around you – perceiving it, feeling it, and experiencing it with your subtle senses. Divine light that is illuminating your space and is now streaming in, with your permission, through the top of your head – It filters down through your upper chakras, your soul star chakra, your crown chakra, and pours in to your physical body – filling each of your chakra energy centers therein, cleansing meridians, opening energetic pathways, and filling your entire being with light. Receive this light. And as you do, feel yourself calling back all of your personal energy, your authentic vibration, your personal light and authentic truth. Call back your energy now as you receive divine light from above, and welcome home your personal energy that was scattered throughout your experience, and is now streaming back into the present, back into your physical body, into your physical form. 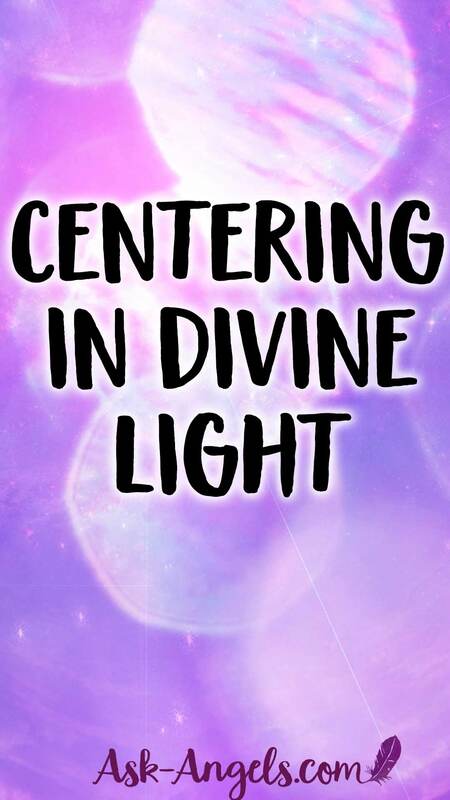 Feel your energy and divine light energy centering in the area of your heart – filling your physical vessel with light, with light that is yours and with light that is Divine. Experience high vibrational energy in this here and now, being compressed your into physical body, as you ground and center the fullness of your spiritual light into your physical form. Energy that you’ve sent out towards others, energy that has been reaching upward and outward beyond you… Call this back now. Feel a magnetic pull into this present point in time where your energy now becomes compressed, condensed, and supercharged within your physical body. Open your heart, and let your light brightly shine. Let your light expand, but retain your awareness and presence within your physical being. Honor your humanity in this way indeed, for you are meant to be physical. And so, while you are able to reach into the outer realms and reach energetically around which has its purpose… Right here and now, allow all the light of the Divine, and all of your personal spiritual power to compress into your physical form. And becoming aware of your light, know that compressing your light like this limits it not. Rather, it is able to vibrate even higher. And this high vibrational light energy compressed in your physical body – brings healing, vitality, and energy, brings the gifts of spirit, the light of the Divine into your physical being. Calling energy into your body in this way, calling in light and harnessing your personal power is a powerful exercise to center, and to prepare you to reach higher. And also, it helps you to manage the constantly changing energetic atmosphere on earth- the constantly changing and elevating ascension energies. Return to your center – let your vibrant light, your starlight shine brightly within. Imagine that you're shining as brightly as a star. And while this starlight reaches far and wide, is vast, and is magnificent in its ability to illuminate its surroundings, it is compressed. It shines from within. And so, your energy and your personal power are not needed to go out. You need not weaken your energy by reaching it far and wide. Rather, compress your energy into the physical. Open your heart. Go within. Vibrantly shine from within. And this power-packed center, this radiant light of a star, of a sun within you, this diamond light, Christ consciousness, vibrant crystalline energy vibrating with divine magnificence in brilliant spectacular form naturally illuminates your surroundings. And so, light work you are able to do on autopilot and effortlessly, is simply retaining your light – shining brilliantly, being a light being in physical form. And notice that in doing this, your physical body feels good – welcoming your energy home, welcoming your energy and divine energy and light into your physical vessel – your physical vessel that is meant to be a chalice for divine light. And when you fill it up in this way, when you fill yourself with as much light as you can possibly hold ( that capacity is greater than you’re currently holding and continues to increase and expand with awareness) your cup of divine light is able to overflow. Through your action, through your presence, through your consciousness, and through the glow of your light, positive blessings expand outward. So, your energy need not leave your physical body to work in other areas. Just shine brighter. Fill your vessel, your body, mind and spirit with so much light that the glow shines out far beyond you. The light of a lamp, within a lightbulb, is all contained within. And yet, when it is turned on in a darkened room, everything shifts. This is how your light can make a difference. Be the lightbulb, be the lighthouse, and focus on retaining your light, on shining brighter and more radiantly. Through this, you illuminate your surroundings, you illuminate the pathways for others… Your light reaches far and wide when you simply practice shining brighter from within. And so, focus on this once more – the divine light from above pouring down into your being. Welcome divine light in, and feel your light body and your energy expand but retain all this light within your physical form and within your aura. So rather than expanding outward, you are becoming supercharged, compressed, condensed, high vibrating being of light. Shine brighter. Relax into this experience. Continue letting your vibration raise further, but not expanding out. Experience your vibration lifting from within, right where you are – fully present in your physical form. Shine brighter, vibrate higher, hold a higher vibration, anchor more of your divine light, more divine presence, more of your higher self, more love in the physical – to energize your body, to bring healing, and to help your body, mind and spirit shift into a higher vibrational state, so that you can access the higher realms of spirit, the higher dimensions of existence, the infinite possibilities of love by simply shining light, vibrating love, and aligning with the fullness of this without leaving your body. Rather, anchoring all this high vibrational energy within. Breathe, and feel the light flowing throughout your being. Relax, and feel your vibration lifting higher. Know that divine love is guiding you forward. And when you are in this awakened, illuminated high vibrational state, you have increased clarity, increased ability to hear the guidance available to you, the increased ability to know truth, to know your next step, to know the path before you, to know the way, and an increased ability to stay present and to positively affect others with your vibration, rather than conforming and lowering your vibration to match those who may vibrate at a slower, lower rate around you. Be the lighthouse. Be the lantern. Light the way. Fill your body and your energy with divine light and vibrate higher. This is light work. This is a huge part of your purpose. This supports you and supports others as collectively, you continue to walk the ascension path. This cleanses you of lower vibrations – revealing the truth of your inner light. Shine brightly and radiantly with divine love. This serves you and serves all. This is your path. Shine, vibrate, lift and return to this awareness often. A pillar of light in your spinal column, brightly shining within and expanding without, so that you are fully illuminated. When you're in this state, negativity cannot latch on. Density cannot take hold. You are protected, and you are doing powerful vibrational work to infuse your future with blessings of light, and to infuse the lives of others in all of reality with the blessings light brings. Return to light. Brightly shine, and let this high vibrational light of the Divine center, and compress within. You are supported, uplifted, cleansed, elevated. message you bring is so helpful. Bless you. Thousand thanks melanie.i am still a Still a seeker and all your readings are actually m’y divine blessings ! Thank you for chanelling Archangel Metatron. With immense gratitude this meditation came at the perfect moment! Dearest Melanie, Thank you so much for this Lovely meditation. You really are an angel on this earth. Blessings to you. Thank you Melanie, I love your channeled messages!